How often do you think about your car tires? Weekly? Monthly? Yearly? When you have a blowout? This week, May 29th-June 4th, was designated by the Rubber Manufacturers Association (RMA) as National Tire Safety Week. This is a great time to think about tires since Memorial Day marks the beginning of the summer driving season. The group coins the slogan “Be Tire Smart – Play Your PART” to remind you to take 5 minutes during the month to check your tires. The key to remember is that tire maintenance and safety is a something you should think about all year long. Light vehicles manufactured after September 1st, 2007 were required by the National Highway Traffic Safety Administration (NHTSA) to have Tire Pressure Monitoring System (TPMS). As a result, vehicles equipped with TPMS have a significant reduction in underinflated tires (See the NHTSA study). But having a vehicle equipped with a TPMS does not replace manually inspecting and checking your tires. According to the RMA “only 17% of drivers are ‘tire smart’ or know how to properly check tire pressure.” Check out their Tire Safety Fact Sheet. Terms used to describe how a tire aligns with the road are caster, camber, and toe. It is important to torque lug nuts in a star pattern with a torque wrench. Torque refers to getting all of the lug nuts to the same tightness. 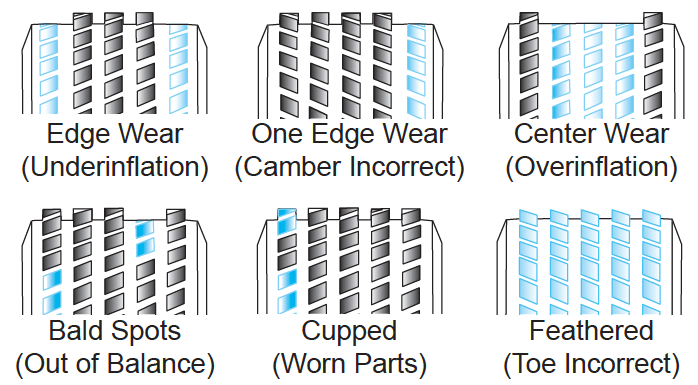 Check your owner’s manual for proper torque specifications. In addition to a quality air gauge (Car Tire Pressure Gauge is less than $10, Truck Tire Pressure Gauge is about $20), consider purchasing a tread depth gauge (buy one for about $5). 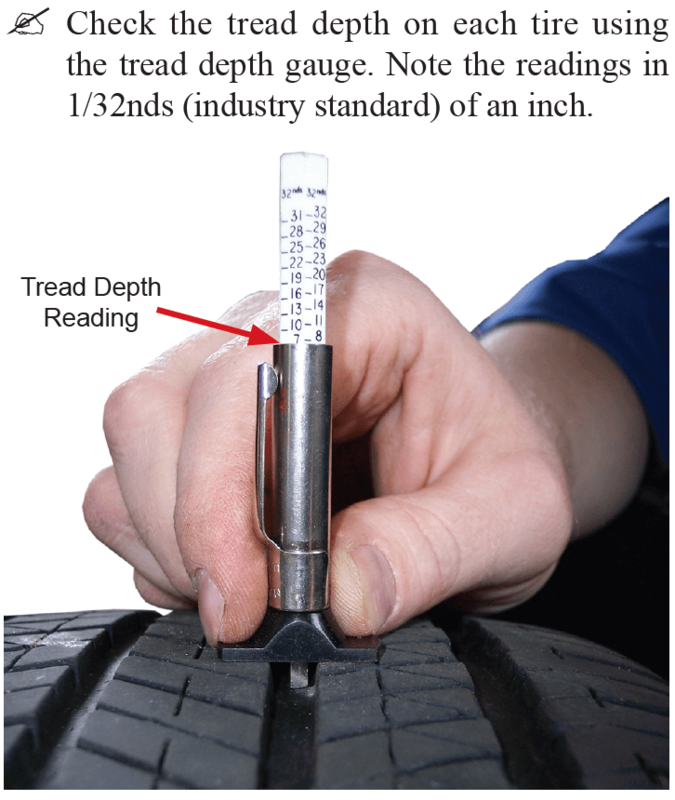 A tread depth gauge is a simple device to measure the actual amount of tread remaining on your tires. 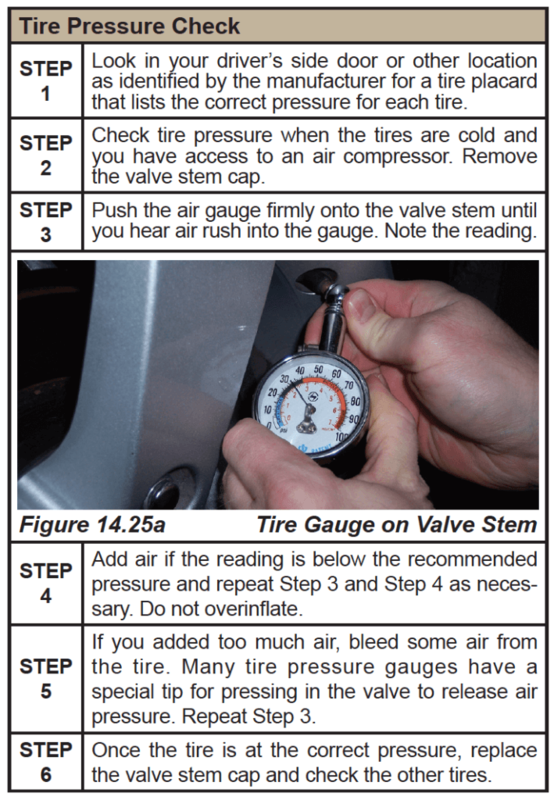 To learn more about tires, check out RMAs Tire Care & Safety Guide. Are you a visual learner? 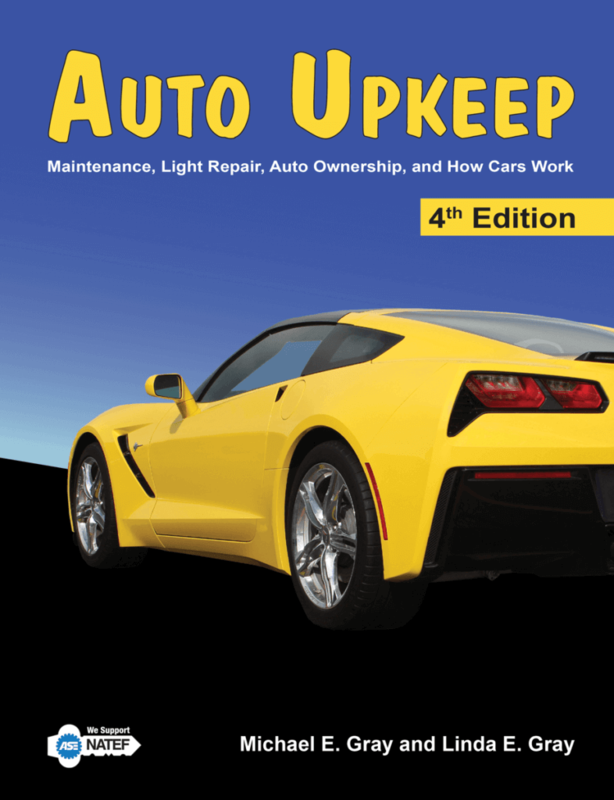 Check out Video.AutoUpeep.com to watch videos about tire maintenance and safety. Mike has roots in the automotive service industry. He began diagnosing and fixing cars at a young age in his family’s service station. He has worked in automotive parts supply stores, towing companies, and service facilities. After graduating from St. Cloud State University (MN) with a Bachelor’s degree, he implemented and taught a basic car care program at the high school level. During work on his Master’s degree at Illinois State University (IL), he was a curriculum specialist on a National Science Foundation project where he co-authored ten integrated mathematics, science, and technology books designed for team teaching. As an Assistant Supervisor of Career and Technology Education, he supervised over 60 teachers in Career and Technology Education. Currently Mike works full time supporting over 500 teachers and thousands of homeschoolers that use Auto Upkeep. PrevPreviousApril is National Car Care Month – What should I do?